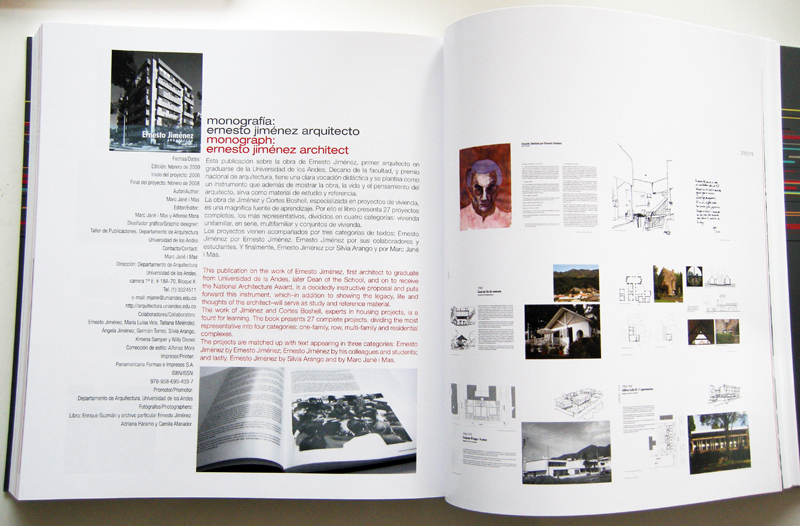 November 2011 | Publication: An architecture without genre, professional excursions | A personal essay telling the story of my starting career. This text is part of the Pontificia Universidad Javeriana initiative to gather female architects in the country to compile their work and figure out if there is a genre-oriented discourse about their architecture. March 2010 | Conference: Architecture and Genre | Conference given for Architecture Faculty, Pontificia Universidad Javeriana. Versiones 2010. Bogotá, Colombia. March 18th, 2010. November 2008 | Conference: Interior space, exterior space: architecture and leisure | Conference given for Universidad Autónoma del Caribe. Barranquilla, Colombia. November 11, 12 and 13, 2008. 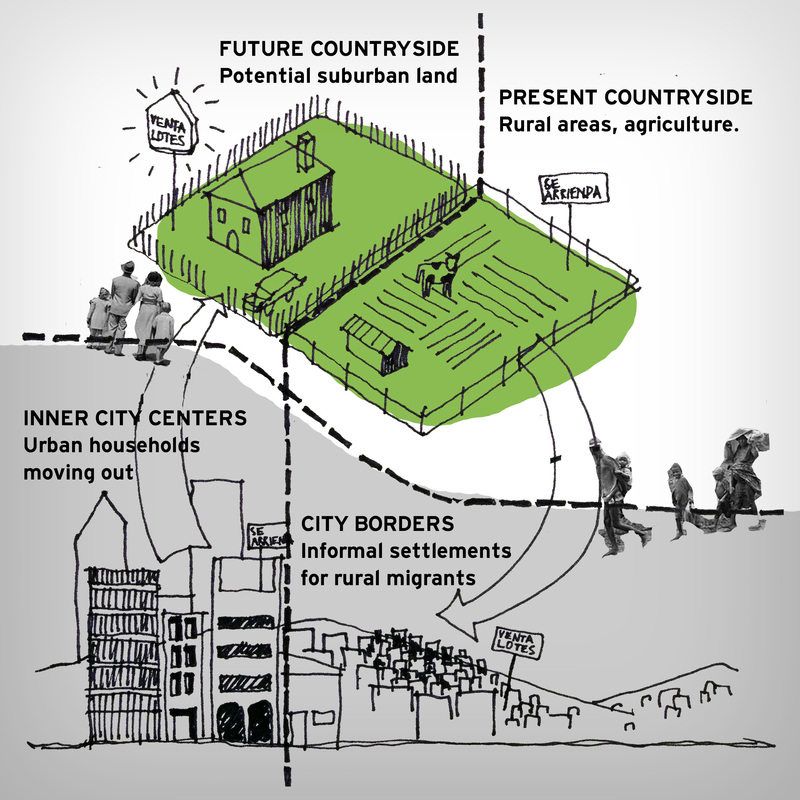 CCEB images designed by Rodrigo Velasco. 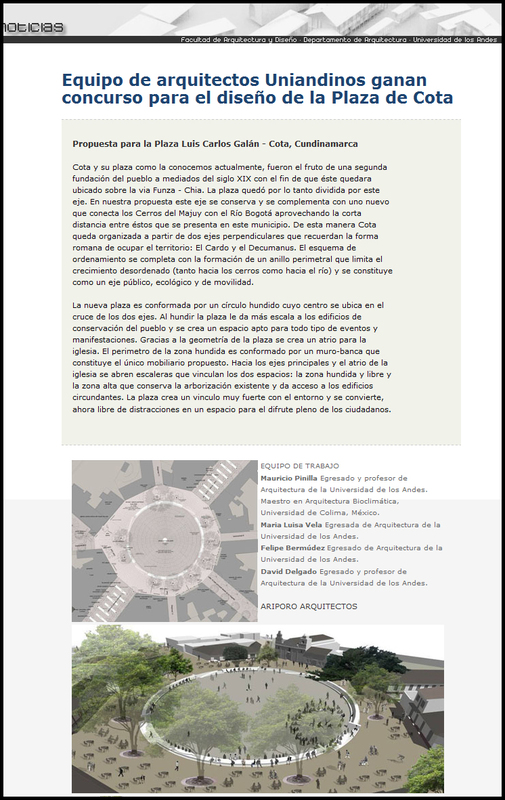 February 2007 | Exhibition: Proposals for Luis Carlos Galán Square in Cota, Cundinamarca | Exhibition of proposals for public competition. SCA (Sociedad Colombiana de Arquitectos). Bogotá, Colombia. February 2007. 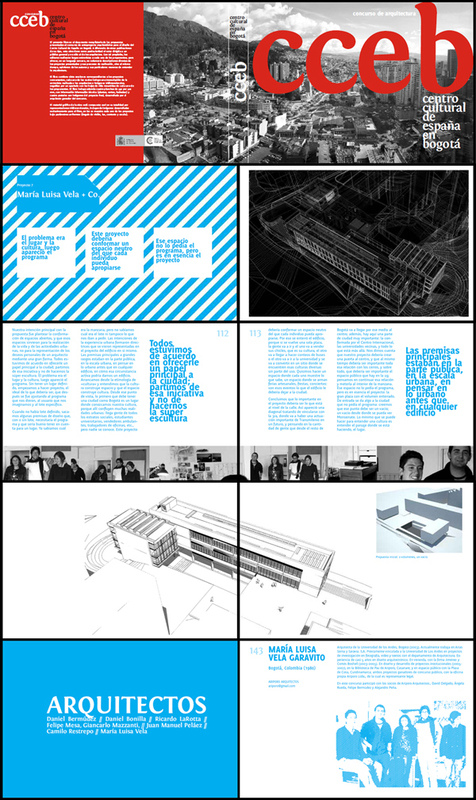 Also published in Architecture Faculty, Universidad de Los Andes website. 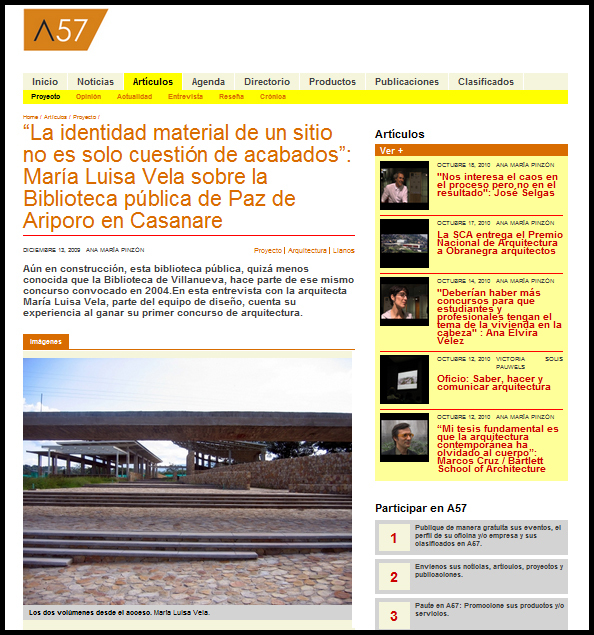 Sepetember 2005 | Conference: A library in Casanare: The Process | Conference given for Universidad de Los Andes, Bogotá, Colombia. Sepetember 2005. May 2006 | Exhibition: Proposals for Mono Nuñez Music Park in Ginebra, Valle | Exposition of proposals for public competition. SCA (Sociedad Colombiana de Arquitectos). Cali, Colombia. May 2006. November 2003 | Undergraduate final projects. 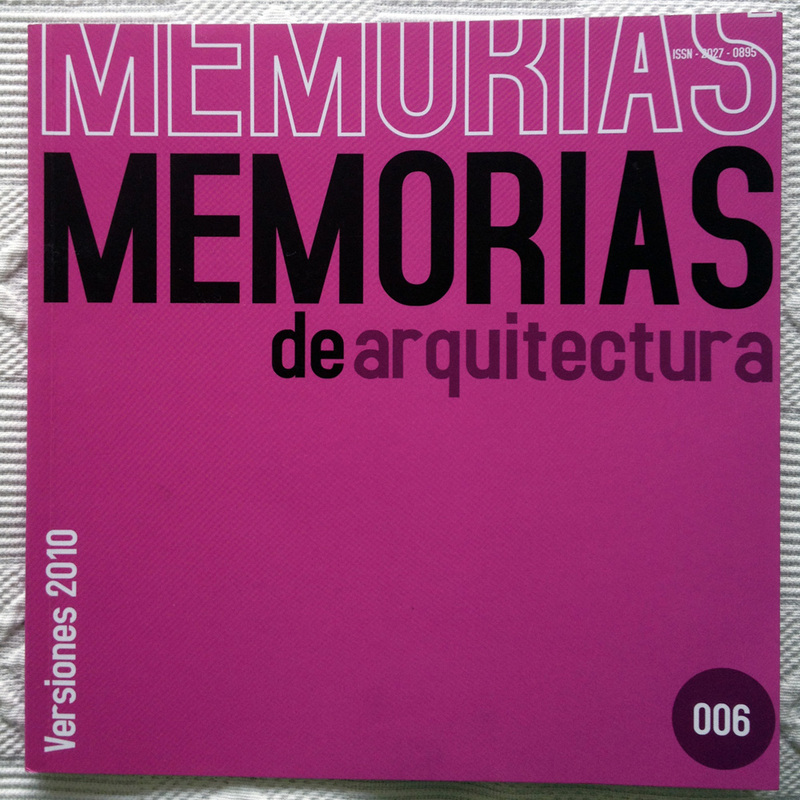 Honored thesis selection year 2003 | SCA (Sociedad Colombiana de Arquitectos). Bogotá, Colombia. November 2003.